African food and Nigerian food by extension are among the most nutritious food on the planet, despite the westernization of the African delicacy, Nigeria food remains one of the most health friendly dishes globally.Dr. 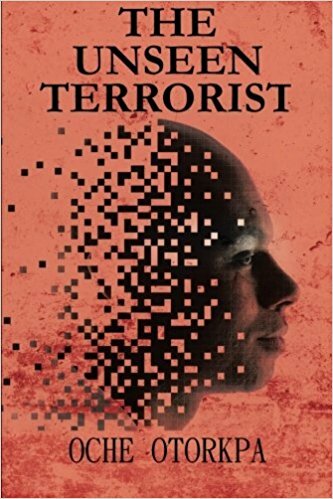 Dennis Burkitt, a famous British doctor who worked extensively in Africa, compared the kinds of diseases affecting the affluent in the Western world and poor Africans. The African Bushmen he noted, seemed to be free of many of the chronic and debilitating diseases that afflict Westerners including diabetes, heart disease, cancer, and obesity. In his study, he attributed the variation in disease pattern to the quantity of dietary fiber consumed. While the Africans were consuming an average of 100 grams of fiber daily from a variety of plant sources, the average American consumes a mere 8 grams of fiber daily, a fraction of the 100 grams/day consumed by Africans. However, not all African diets are healthy. The constituents of some African meals and the westernization of some hitherto healthy local delicacies have introduced some foreign elements which has transformed this super foods into mirror images of their western counterparts. Nigeria’s minister of health recently raised an alarm over the increasing number Nigerians of dying as a result of unhealthy diet. According to him, the economic loss the country will suffer due to the impact of Non Communicable Diseases (NCDs), such as diabetes, stroke, High Blood Pressure and heart attack, could rise to a projected US$8 billion over the next 10 years. The healthiest Nigerian food don’t just satisfy hunger they also rid the body of disease causing elements and significantly boost immunity. We have drawn a list of the 4 healthiest Nigerian food based on available scientific data. Bitter leaf soup is the healthiest soup in Nigeria. It is a major delicacy in the northern and southern parts of the country where it is prepared using different recipes. A recent study published in the journal of food biochemistry describes bitter leaf as one of the few plants with huge anti-cancer properties. 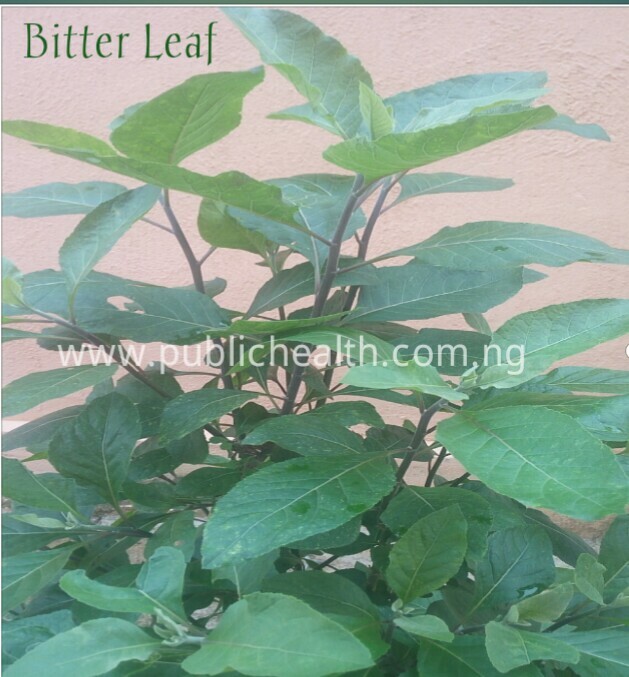 Bitter leaves have shown very significant effect on blood pressure regulation, an effect which has been traced to its high potassium content. A clinical study which analyzed the impact of bitter leaf on the levels of high density lipoprotein (HDL) and Low density lipoproteins (LDL) in the body showed that bitter leaf decreased bad fat (LDL) cholesterol by nearly half and simultaneously increased the level of good fat (HDL) cholesterol levels. Another research published in the American journal of Biochemistry and biotechnology reported that bitter leaf is very useful in the reduction of blood glucose which makes it an equally useful remedy for the management of diabetes. For centuries bitter leaf soup has been used to relief gastrointestinal disturbances arising from bacterial contamination of food and headaches especially tension headache and migraine. Miyan Kuka is a soup popular in the northern part of Nigeria. 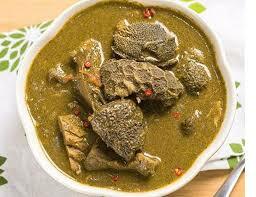 It is made from powdered baobab leaves and dried okra. 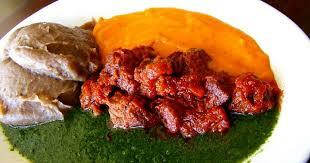 It is usually served with tuwon masara, tuwon dawa or the more popular tuwon shinkafa. Baobab leafs are rich in alpha and beta carotenes, Vitamin C as well as other nutritional elements such as rhamnose, uronic acids, tannins, vitamin A, potassium, calcium, catechins, tartrate, glutamic acid, mucilage and other sugars. Miyan kuka serves many therapeutic and medicinal purpose due to the phytochemical composition of the baobab leaf. The baobab leaf can act as an expectorant for cough, diaphoretic or anti-pyretic agent. 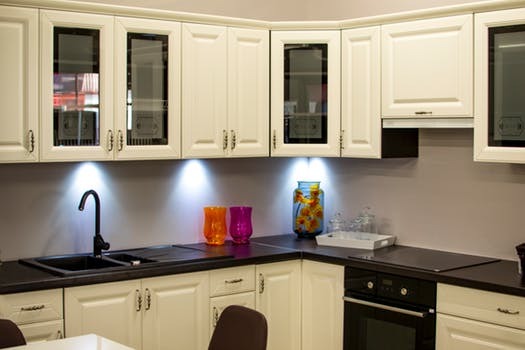 In some areas it is used to relieve excessive perspiration and its anti-histamine properties makes it very useful for the treatment of certain forms of allergy. Baobab leaves are also widely used in the savannah for the treatment of asthma, fatigue, inflammations, kidney diseases, gallbladder diseases and dracunculiasis. A study which evaluated the nutritional value of traditional soups consumed by postpartum mothers in Nigeria published in the Journal of Pharmacy and Biological Sciences revealed that, although ofe Nsala and Miyan kuka soups had the highest amount of protein, folic acid and vitamin B, the quantities in miyan kuka were significantly higher. One of the major attributes that makes African food healthier is the fact that most of them are made from rich plant sources. 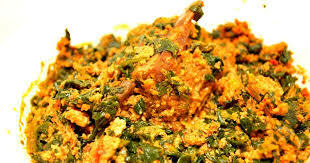 Egusi is a good source of palmitic acid, stearic acid, oleic acid and linoleic acids. Linoleic acid and linolenic acid as well as other fatty acids have been reported to have protective effect against coronary heart disease and improved sensitivity to insulin. Studies have also shown that linoleic acid, an omega-3 fatty acid, lowers LDL concentrations, which are established risk factors for the development of coronary heart disease. 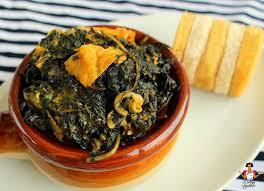 Ewedu is a leafy vegetable popular in south western Nigeria. Research has shown that the different varieties of ewedu possess very valuable vitamins and antioxidant properties with huge nutritional and therapeutic value. Ewedu contains vitamin A, a fat soluble vitamin that plays a critical role in maintaining neurological function, healthy vision, and healthy skin. It contains Vitamin C which is important for repair and regeneration of tissues, it also prevents heart disease, scurvy, aids in the absorption of iron, and decrease the level of LDL in the blood stream. In addition, ewedu contains Vitamin E another fat soluble vitamin that is vital for certain aspects of reproduction. 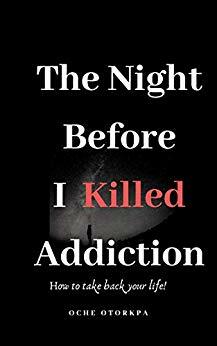 Absolutely right, have been away for a while, miss those dishes mentioned above, especially bitter leaf soup, and what they do to my health. Can’t wait to have them back.